Make your room sparkle with these perfect confetti filled balloons! wow your guests with this memorable balloons on your special day. Clear balloons are filled with stunning silver glitter star confetti pieces! 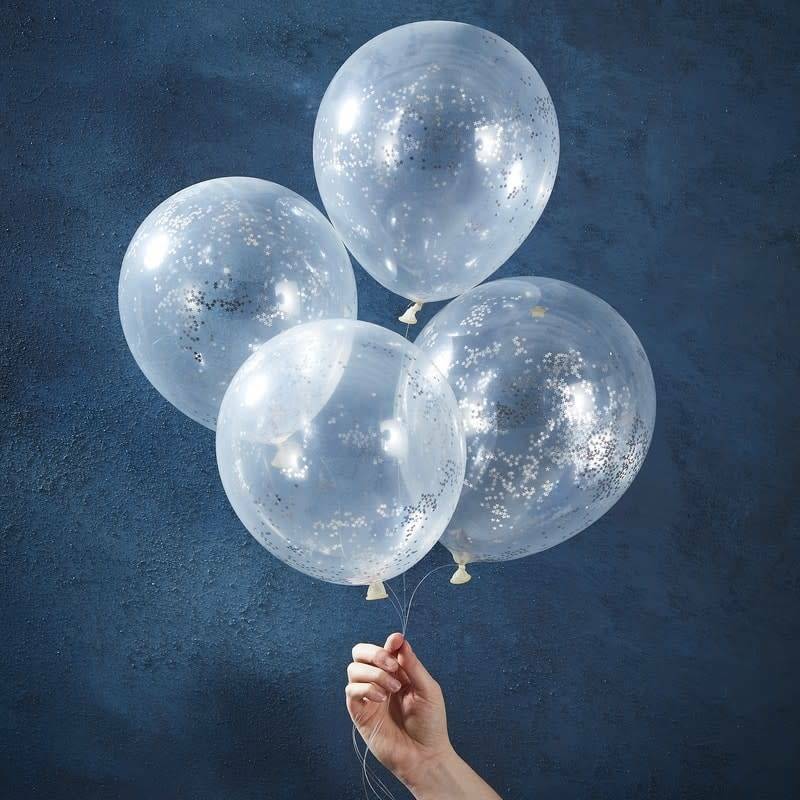 To make the confetti stick to the sides of the balloons best, we recommend inflating the balloons with a mixture of helium and a good puff of air!